Daniel Hache, Atelier des Lumières, 2018; licensed under CC BY 2.0. 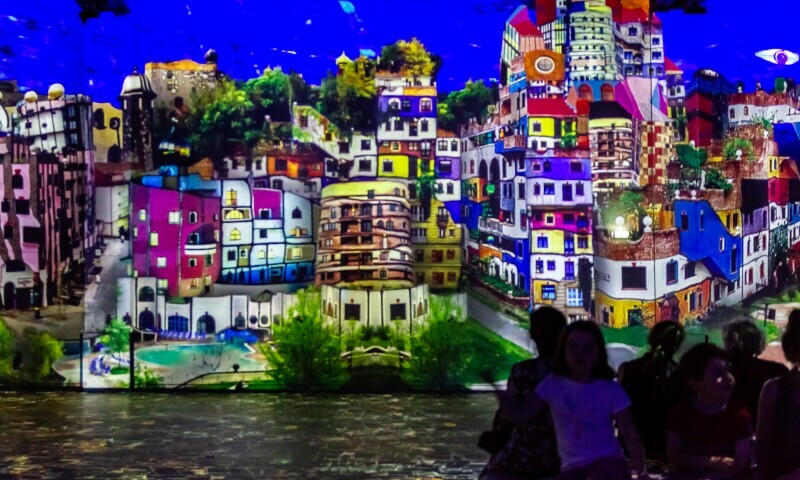 Located between Bastille and Nation, in a former foundry in the eleventh arrondissement of Paris, the Atelier des Lumières will hold monumental immersive exhibitions. Using 140 video projectors and a spatialised sound system, the highly unique multimedia equipment will cover a total surface area of 3,300 m2, extending from the floors to the ceilings and over walls up to ten metres high. The Atelier des Lumières includes two areas for visitors: la halle and le studio. In la halle, a continuous cycle of digital exhibitions will be projected, alternating between a long programme, devoted to the great figures in the history of art, and a short, more contemporary programme. In le studio, the visitors will discover the work of experienced or emerging artists. Reduced rate: 11,5 € (students, disability card-holders, unemployed and Education Pass holders - on presentation of written proof). Free for children under the age of 5 (on presentation of written proof).